Over the weekend, Donald Trump revealed that he has an Obamacare replacement plan that will provide “insurance for everybody.” He assured the Washington Post that his health-care plan is definitely not imaginary; he claims it’s nearly finished, but it won’t be unveiled until his Health and Human Services secretary is confirmed. That suggests Representative Tom Price is integral to this plan, but it appears the opposite may be true. A senior transition official tells CNN that Price is being kept out of discussions about Trump’s strategy to ensure Americans are “beautifully covered.” Trump’s team doesn’t want senators to question Price about the plan during his hearing before the Senate Health Committee on Wednesday, and he can’t reveal what he doesn’t know. 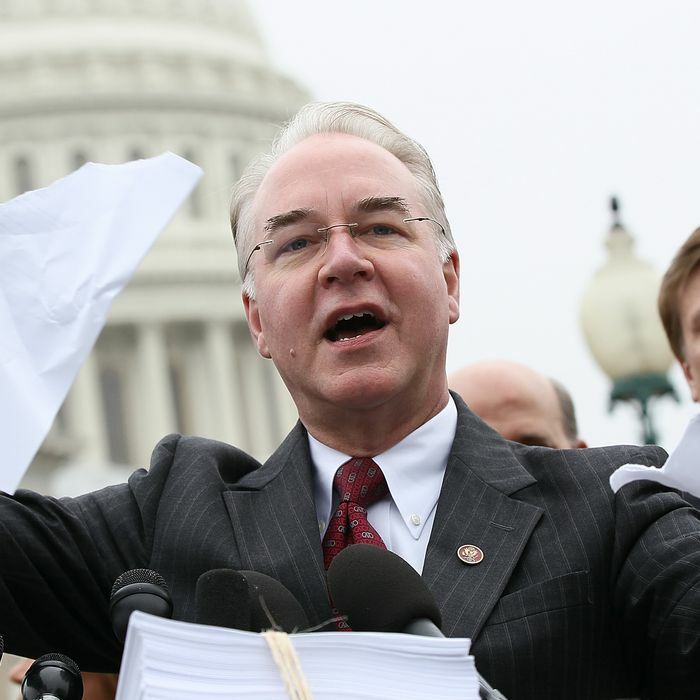 Price actually released his own detailed health-care-reform plan two years ago, but he doesn’t want to talk about that during his confirmation hearing either. The Georgia congressman reportedly wants to avoid the appearance that he’s encouraging lawmakers to get behind his proposal. Also, his plan likely bears no resemblance to the president-elect’s — though it’s hard to say, since Trump has only revealed a few vague, impossible aspects of the plan. For instance, as Politico notes, Price’s plan does not attempt to provide universal coverage, though that appears to be a feature of Trump’s proposal.